The Tortoise Banker: Invest or Pay Off Mortgage? So you have some extra money and want to know if you should pay off your mortgage, or invest it at a higher return. 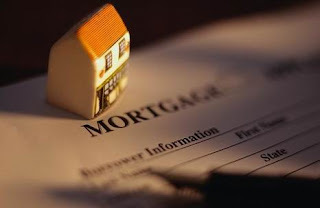 At the time of this post, interest rates on Mortgages are at ALL TIME lows. I'm sure the majority of investment experts and personal finance bloggers would bodly disagree with me, but I 100% advocate paying off or paying down your mortgage over investing the proceeds. Why? Because it just feels so good to be debt free! I've done a lot of research on this, and it is an incredibly contested topic but I have to go with the debt free camp, and here's a few reasons. (Definitely not a comprehensive list). Even at the very low interest rate of 3.6%, investors that choose to pay down their mortgage vs. investing the proceeds will earn this rate as a guaranteed rate of return on their funds. With FDIC insured deposit accounts and Treasury Bonds yeilding less than 1%, where elese can you earn a GUARANTEED rate of 3.6%? I know, I know. . . Maybe a municipal bond, or a corporate bond, but the small diffence in yield really isn't worth it in my opinion. For the reader that is screaming "YOU CAN DEDUCT THE INTEREST FROM YOUR TAXES YOU IDIOT," simmer down. Yes, you can. But from my chair at the bank, I see WAY too many people blindly using this as an excuse to buy too much house, and eliminate any discretionary income they could apply to retirement savings. Besides, if you do the arithmetic, its like being excited about getting a discount on taxes for paying interest to a bank. THAT MONEY IS LEAVING YOUR WALLET. In a poll of over 20 clients that recently paid off their mortgage, I asked if any had any doubts or regrets about the decision. The answer? NONE. All were very glad to have done this, most commonly citing that the best benefit has been a deep, relaxing sleep unlike anything they have experienced before. There's NOTHING like owning your home free and clear. That $1,200 mortgage payment will no longer be coming out of your checking account every month, offering the prudent investor an opportunity to increase their savings rate to the 30% of gross target I've advocated in previous posts. For those of you that choose to follow my advice and pay off your mortgage, do yourself a favor. Have DISCIPLINE and invest the extra cash flow in your tax-deferred accounts and watch that money grow substantially over time. Its easy to alter your spending on discretionary items after your mortgage payment goes away so be aware of this. ***Note-be sure to tell the bank you are paying off the mortgage note and would like a final payoff amount. If you are not paying the full amount off, ask that your payment be applied to principal. This will avoid a portion of the payment to be put towards "pre-paying" 3 months of interest! Don't get me wrong, this is a very hotly contested topic. I want to be clear though. . .of the two "camps" (paying off vs. investing) I am 100% in the "paying off" camp. Guaranteed return, peace of mind, and extra cash flow you can put towards tax deferred accounts. Ultimately, would you take a mortgage on a paid off house to invest? If the answer is no, then pay your mortgage off NOW! If you'd like more information on this, including a mathematical evaluation there's a great resource for you in the Bogleheads Wiki. Thanks Jesse, the thing that gets me the most is when people rationalize big mortgage debt just because they can deduct interest paid from their tax return! Anyone with common sense would know that us a bad idea. Old guy here and I am LOVING this article. After finally getting our youngest thru college (debt-free) we are now throwing everything we can at our mortgage. Know why? 'Cause we're tired of that sob still hanging around and we wouldn't use near the discipline this takes if we were investing the $ - there would always be something else that caught our attention (think shiny object). It is soooooooooooooo great to hear you younger guys/gals being so wise. Good for you!